1) Write a program in C# to print “HELLO WORLD”? 2) Write a program in C# to print “TutorialandExample” using namespace? Here, namespace is used to group related classes. 3) What are the types of C# operators? 4) Write a program in C# to check the number is EVEN or ODD? 5) What are the types of Generic delegates in C#? 6) What are the types of comment in C#? Example: // Single Line Comment. 7) What is difference between “is” and “as” operators in c#? is operator: It is used to check the compatibility of an object. It returns the result as Boolean. as operator: It is used for casting of object to a type. 8) What are the different types of constructors in C#? 9) What is the use of Break statement in C#? C# Break: It is used to break loop or switch statement. 10) What will be the output of the following code snippet? 11) What is the name of a method which has the same name as that of class and used to destroy objects? 12) List out the characteristics of C#? 13) Name the applications created by the C# .NET? 14) What are the features of namespace? It is not a type. The interfaces, classes, enums, struts and delegates are allowed. 15) What are the types of literals supported by C#? C# is an object oriented programming language. It is a type-safe and managed language that is compiled by .NET framework. 17) What are the features of C#? 18) What are the advantages of C#? 19) Who is the developer of C#? Anders Hejlsberg is the developer of C#. 20) Name some of the components of the .Net framework? 21) What are the different types of IDE available for C#? 22) How to compile a C# program by using command-line? For Compile: Type csc FileName.cs in the command prompt. 23) What is the extension supported by C#? C# supports .cs extension only. 24) What is “using” in C#? using is a keyword that is used for including the namespaces in the program. It is the first statement in any C# program. 25) What are the reserved keywords and contextual keywords available in C#? 26) What are the types of variables used in C#? 27) What is the use of “sizeof” method in C#? sizeof method is used to get the exact size of a type or a variable on a particular platform. 28) What is Object Type? Object Type: It is the base class of all data types in C# CTS (Common Type System). boxing: When a value type is converted to object type. unboxing: When an object type is converted to a value type. 31) What is Type Casting? Type Casting: It is used for converting one type of data to another type. 32) How to convert value types into String type in C#? 33) What is the syntax for declaring nullable data types? 34) What are nullable types? nullable types: It is a special type of data type that is used to assign normal range of values as well as null values. 35) What is Null Coalescing Operator? Null Coalescing Operator: This operator is used for converting an operand to the type of another nullable value type operand. This operator is used with the nullable value types and reference types. The Null Coalescing Operator is denoted by: ??. 36) Can we return multiple values from a function in C#? Yes, we can return multiple values from a function by using output parameters. 37) Which class acts as a base class for all arrays in C#? The Array class is acts as a base class for all arrays in C#. 38) Can we use multiple inheritance in C#? 39) What is early binding? early binding: It is the mechanism of linking a function with an object during compile time. It is also known as static binding. 40) Which class acts as a base class for all the data types in .net? Object Type is the base class for all data types in .net. 41) In how many ways you can pass parameters to a method? 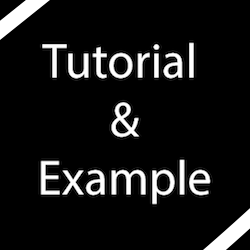 42) How the exception handling is done in C#? 43) Can we execute multiple catch blocks in C#? 44) Can we override private virtual method in C#? 45) What are the types of delegates in C#? 46) How encapsulation is implemented in C#? 47) Which method is used to sort an array in C#? 48) What are the Predefined Attributes of .Net framework?